Animals are quite spectacular and nature has created them with amazing features and functions, thus it is no wonder when we see robots being modeled after animals. Comparing these animals with plants, we see that plants only grow upwards and downwards and don’t really move around much (duh, obviously). 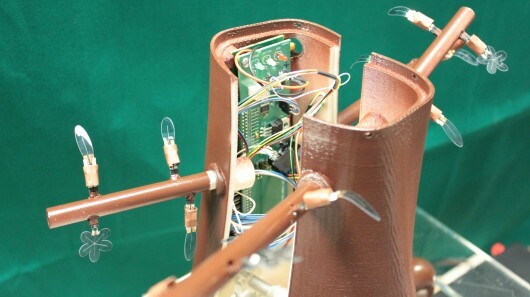 This is what led the Europe’s PLANTOID project consortium to design a tree-robot that will eventually find its use when it comes to exploring new planets. The trunk is made of plastic that has been 3D printed and works as the base of the PLANTOID and contains the microprocessor as well. There are four plastic branches that protrude from the sides of the trunk and consist of leaves that double up as sensors capable of detecting and measuring parameters such as humidity, gravity, temperature, touch and chemical elements. That being said, the real action takes place below the trunk where the two roots of the robot dwell. One of the roots is capable of bending like a tentacle and has a tip that doubles up as a tactile-sensor. 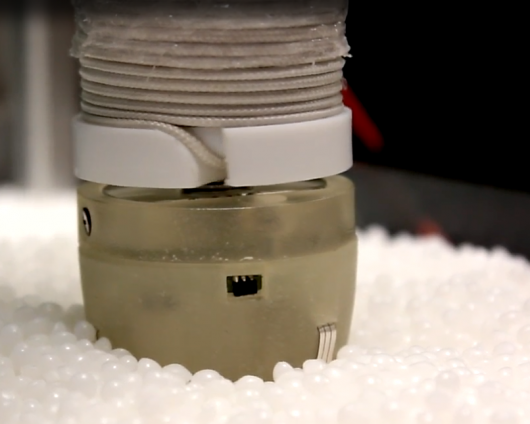 By using this sensor, the root squirms and makes way through the dirt while also being able to change direction when it comes in contact with solid objects (yes, that’s exactly what the natural root does as well). The root can also become capable of sensing and avoiding any toxic substances present in the ground. The second root can extend into the substrate owing to the rotating tip that extrudes a coiled cord while turning. The coils form a root similar to a tube when they join together and continue the growth as long as the tip continues to turn. 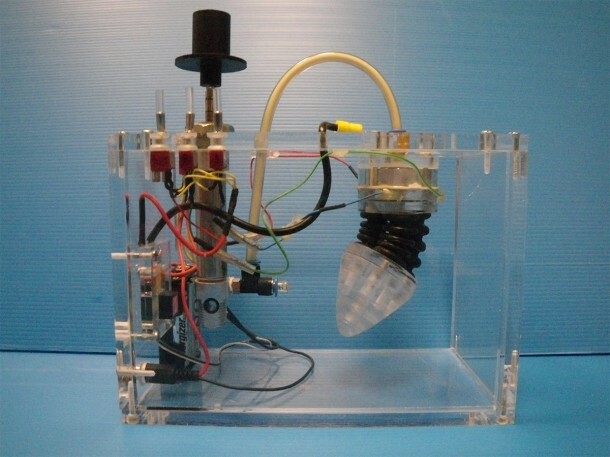 Currently the PLANTOID robot is simply a model that provides proof of the concept, however, the future holds much more for this awesome robot that can contribute to the betterment of endoscopic surgical tools. It could also operate as a rescue robot for victims who are buried below the debris. The completed PLANTOID robots will also be used to monitor the soil and pollutant levels on earth. The PLANTOID will be deployed by an unmanned rover, securing itself via roots and then begin operation by sensing soil and air. Instituto Italia di Tecnologia is leading the project while other members include Institute for Bioengineering of Catalonia (Spain), the Università degli Studi di Firenze (Italy) and EPFL (Switzerland). The project started in 2012 and shall finish up by April 2015. Designers are working on incorporating more features into the roots, for instance, making them able to harness power from the environment. A pretty cool new project, isn’t it?